Texas has had a beautiful bluebonnet season this year and I wanted to celebrate that with a fun theme! 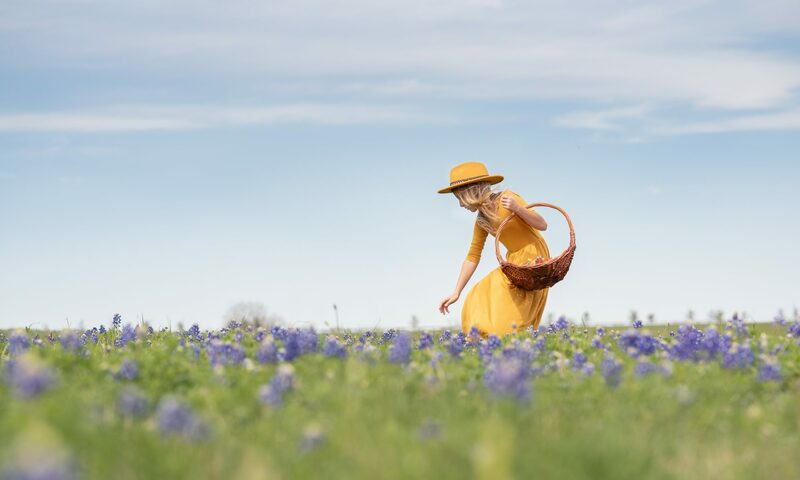 We thought it would be fun to try a different take on the usual “this is me with bluebonnets” theme. The vintage theme was only enhanced by the bold contrast of yellows and reds to the blue flowers. This is why I love Spring! Oh My WORD!!!! Such a beautiful location, and concept. These are all stunning photographs! Love! Thank you so much Melissa! It’s too bad the flowers are only out for a month. wow, I love the variety you have here. these are fantastic!